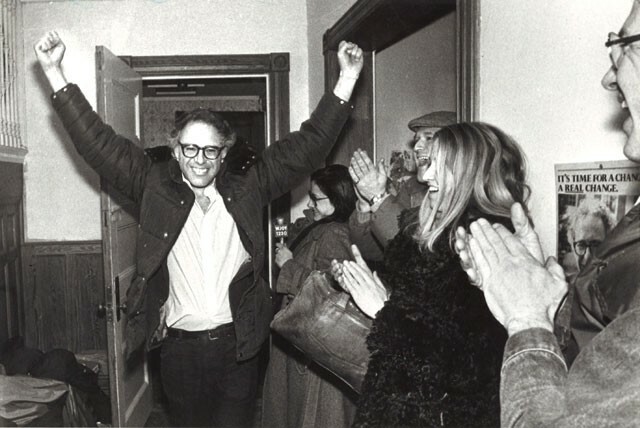 Bernie Sanders celebrates his first electoral victory as mayor of Burlington in 1981. More than a year after he first dipped his toes in the presidential waters, Sen. Bernie Sanders (I-Vt.) has finally taken the plunge. "I am writing to inform you that I will be a candidate for President of the United States," Sanders emailed supporters Thursday at noon. "I ask for your support." 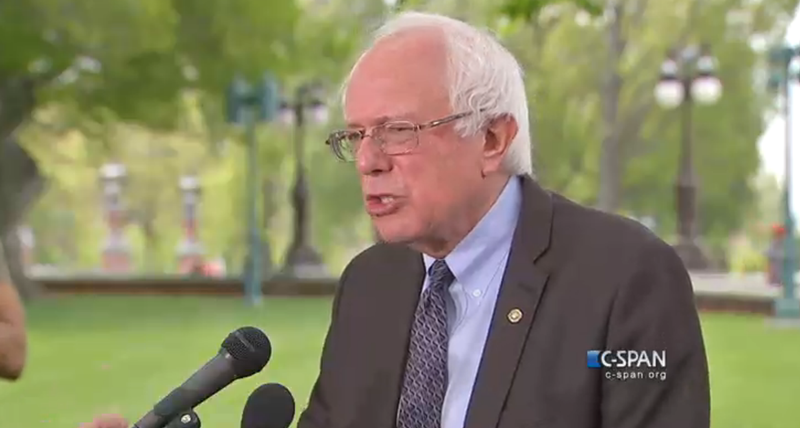 Sen. Bernie Sanders addresses reporters in Washington, D.C., Thursday at noon. Asked which positions made him a “better” candidate than Clinton, Sanders said it was “too early” to know. Also distinguishing him from Clinton, he said, was his staunch opposition to the Trans-Pacific Partnership, a proposed trade deal, and the Keystone XL Pipeline. “This is not the Red Sox versus the Yankees,” he said. 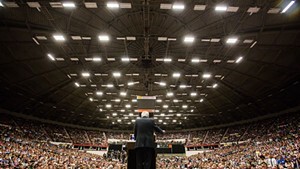 Nevertheless, Sanders did not hesitate to highlight his own biography. He noted that he was the son of a penniless immigrant who worked all his life and never got ahead. The senator also mentioned his humble political roots as a perennial candidate who placed in the single-digits in his early runs for statewide office. “You’re looking at a guy, [in]disputably, who has the most unusual political history of anybody in the United States Congress,” he said. The Vermont senator conceded that his cash disadvantage could be perilous to his candidacy. Sanders is scheduled to make his first trip to New Hampshire as a declared presidential candidate Saturday, attending a house party in Manchester and an AFL-CIO event in North Conway. He plans to hold a ceremonial campaign kickoff at Burlington City Hall on May 26, his campaign announced. According to an adviser who insisted on anonymity prior to Sanders’ official announcement, the senator’s campaign will focus on three familiar themes: fighting economic inequality, climate change and money in politics. Sanders plans to run a “50-state campaign,” seeking ballot access throughout the country, the adviser said. 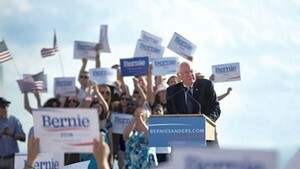 He hopes to raise roughly $50 million in small donations to compete in the early presidential primary and caucus states of Iowa, New Hampshire, South Carolina and Nevada. Sanders will base his campaign in Burlington, the city he governed from 1981 to 1989. 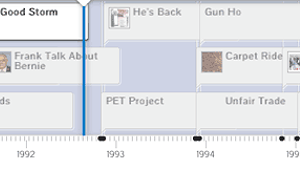 For more on Sanders’ political history, visit Seven Days’ Bernie Beat. Seven Days is on the Bernie Beat! 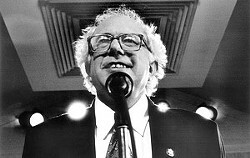 On his first day as mayor of the Queen City, Bernie Sanders shared a prediction with the alternative weekly Vanguard Press: “People will look back to Burlington, Vermont, 1981, and say: ‘It all started here.’” Socialist Sanders, who won the mayor’s seat by 10 votes, was likely envisioning some kind of populist revolution. Instead, what has turned out to be really popular is Bernie himself. Forty-three years and 18 elections after he first ran for U.S. Senate on the Liberty Union ticket, Vermont’s outspoken independent is seeking the Democratic nomination for president. How did he get here from there? Seven Days lays it out on Bernie Beat, a new digital guide to Sanders’ colorful political career through the eyes of the state’s independent media. Original articles and video from more than 30 years of Bernie-watching puts the iconic public servant in context. A multimedia time line, combined with ongoing coverage of Vermont’s junior senator in D.C. and on the campaign trail, tells the real story of the outsider who would be president.